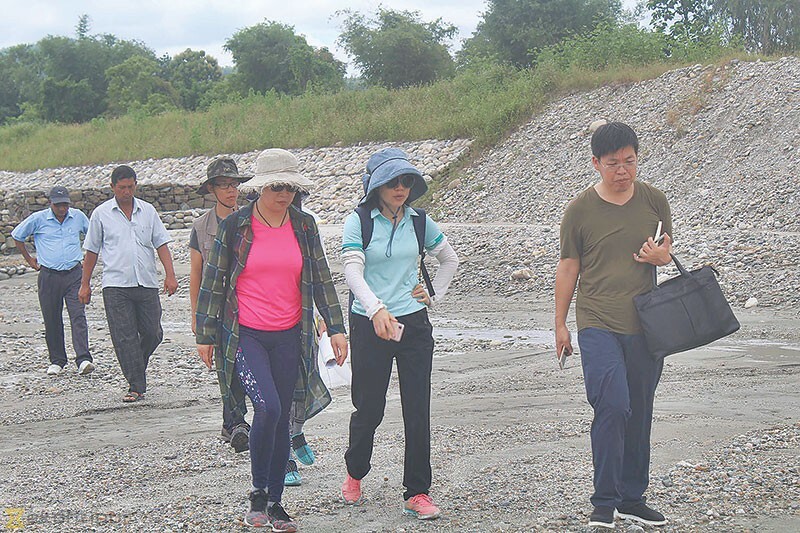 A joint team from China and Nepal has started a feasibility study for embankment construction in nine rivers of Jhapa district. The study is being conducted as per the MoU that was signed between the Ministry of Energy, Water Resources and Irrigation, and China Communications Construction Company (CCCC) during the China visit of Prime Minister KP Oli last month. The two sides had agreed to carry out the feasibility study for embankment construction in nine rivers of Jhapa, including Mawa, Ratuwa, Kisne, Kankai, Biring and Ninda, to tame flood and erosion. On Wednesday, the team inspected various parts of Mawa river. The team comprise of seven CCCC representatives and two senior divisional engineers from the Ministry of Energy, Water Resources and Irrigation. Arbinda Kumar Gupta, senior divisional engineer from the ministry, said the team was conducting the feasibility study to construct embankments that will together span the length of 35 km. The study is expected to be completed in two weeks. Gupta said it would take at least six months to prepare the detailed project report (DPR). According to Red Cross, Jhapa, 85 villages in the district are at high risk of erosion and inundation. Lawmaker LP Sanwa said hundreds of bighas of farmland and scores of settlements could be saved if embankments are built along the nine rivers. Besides embankment construction, the Chinese government has also agreed to build a two-lane causeway roads along the Mawa, Ratuwa, Kankai and Biring rivers.